The stage was set. A gorgeous unseasonably warm night in September nestled in the hills of Cazenovia, NY. 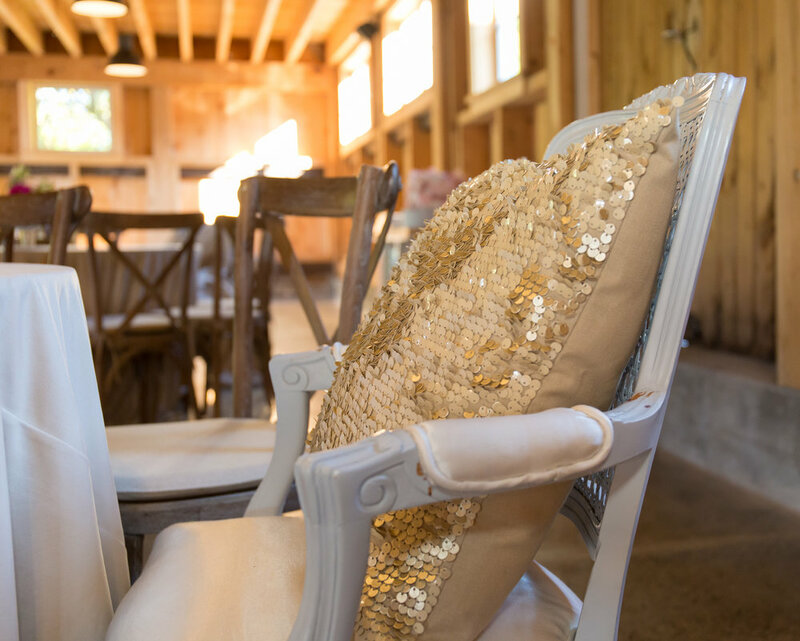 Red Barn 20 offered up not only fantastic natural views, but also a meticulously decorated birthday venue for Ms. Emma and all of her friends to party in. 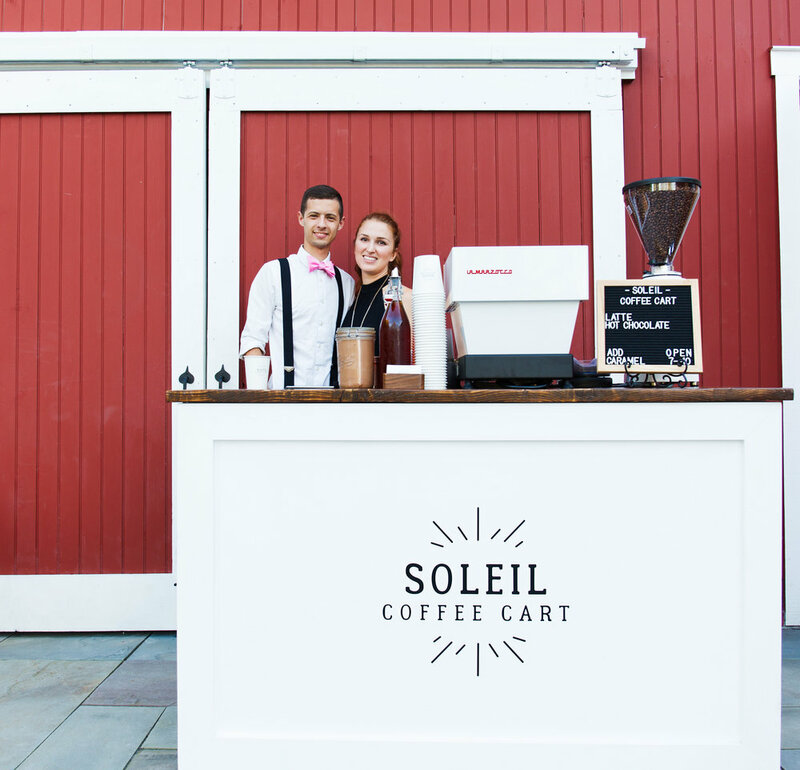 The outdoor couch by the fire was ready for guests to cozy up near with a blanket and a latte from the nearby Soleil Coffee Cart. 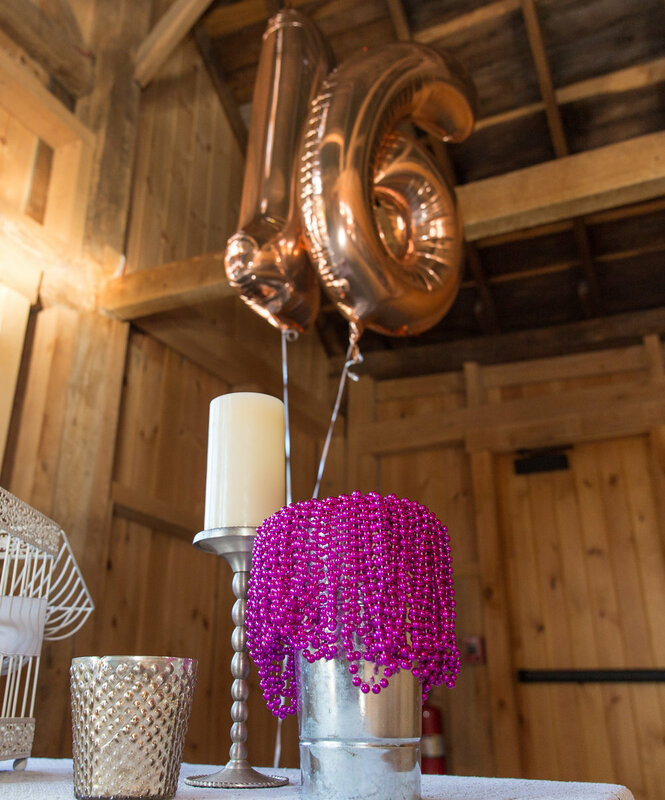 Emma’s pink theme was present everywhere inside the Red Barn from her gorgeous floral birthday table center-piece to pink beads for the guests, to non-alcoholic Pink Sangrias in a personalized glass. 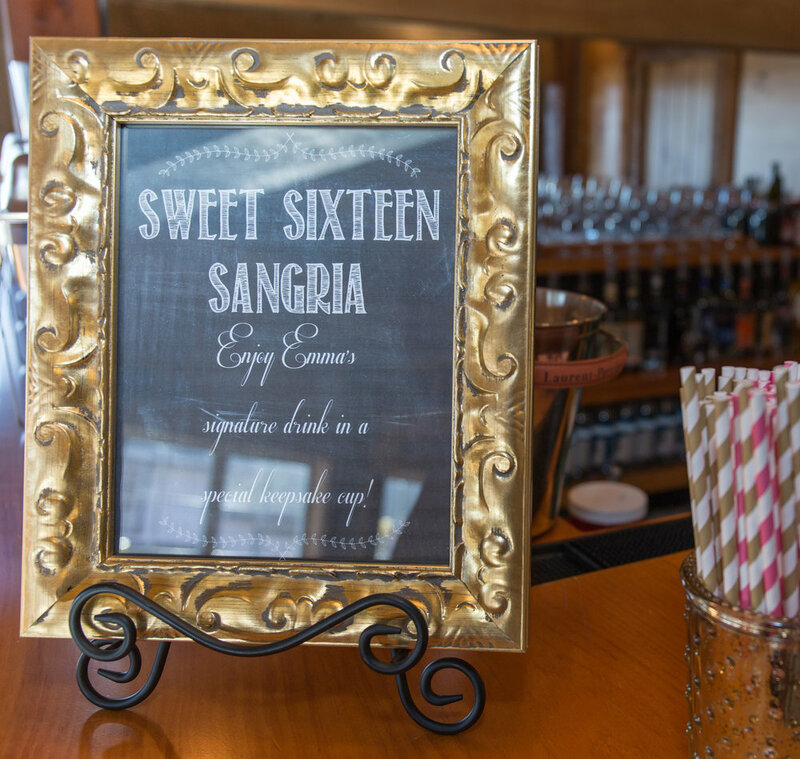 The smell of delicious paella from Otro Cinco of Syracuse, NY permeated the air along with a sweeter smell coming from the equally-pink dessert bar. This bar was home to sixteen unique desserts that were all also of the pink variety. Emma’s cake, not to be upstaged by the enormous bar, was decorated with beautiful pink fondant petals and topped by a blinged-out number “16”. 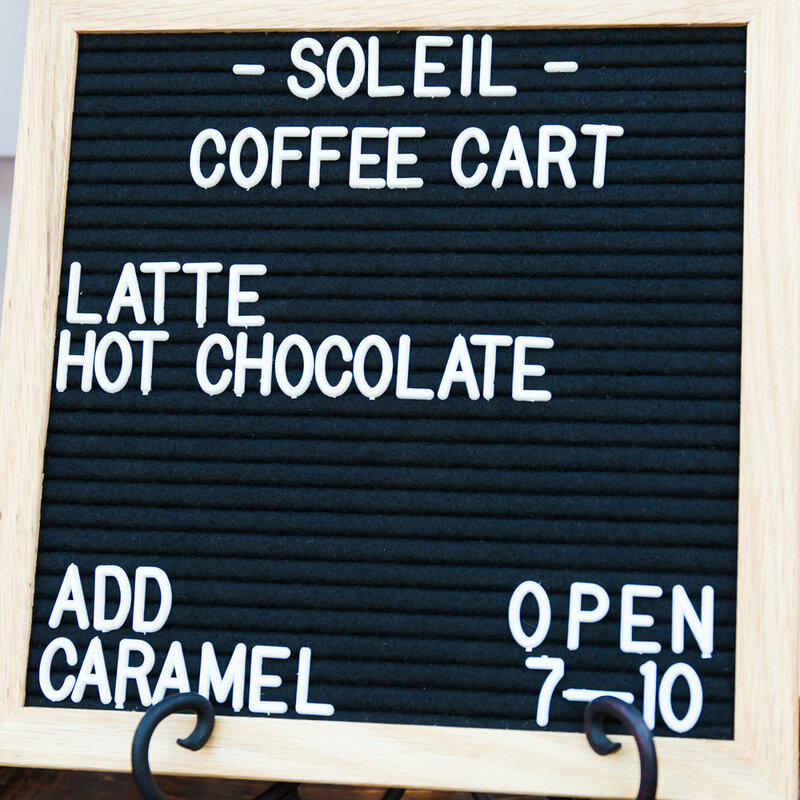 These sweet treats were all brought to life by the lovely folks at Hipstir Cafe of Oneida, NY. Fantastic job! 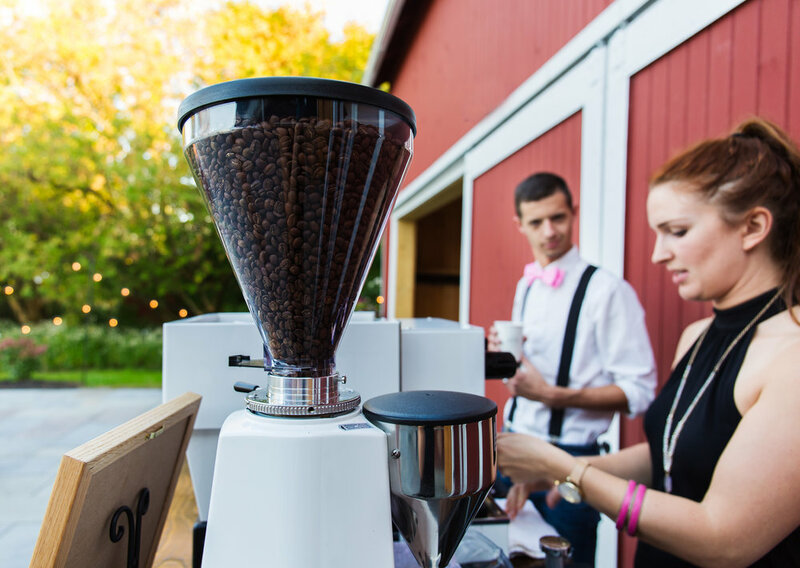 In the nearby White Barn, Emma’s parents and other guests over 21 were set up to enjoy a night of Prohibition-themed celebration. They would be near the main festivities, but separate enough to allow the younger guests to have their own fun. 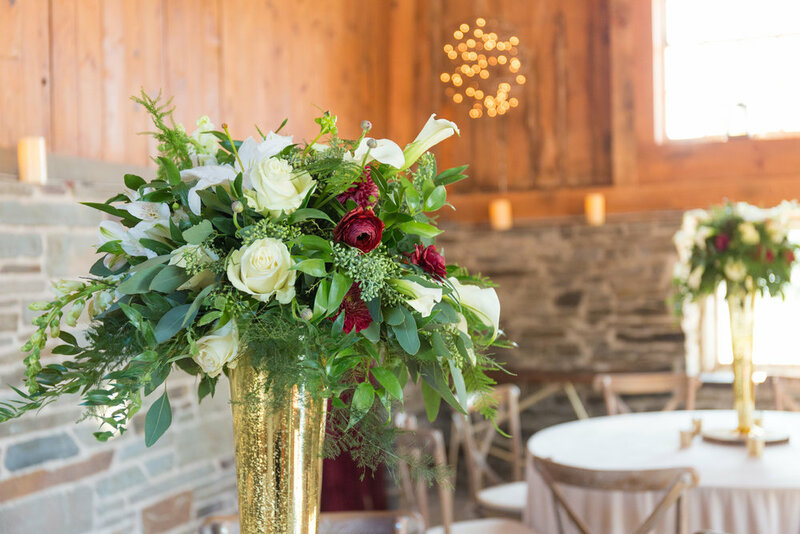 The White Barn was decorated with cigars, speakeasy-inspired chalk signage, and more gorgeous floral arrangements styled by Spruce Ridge Garden Center of Cazenovia, NY. Everything was perfect as the guest of honor arrived in her gorgeous birthday dress. Emma posed for a few formal portraits and beamed the smile of a girl who was celebrating a very special time in her life. 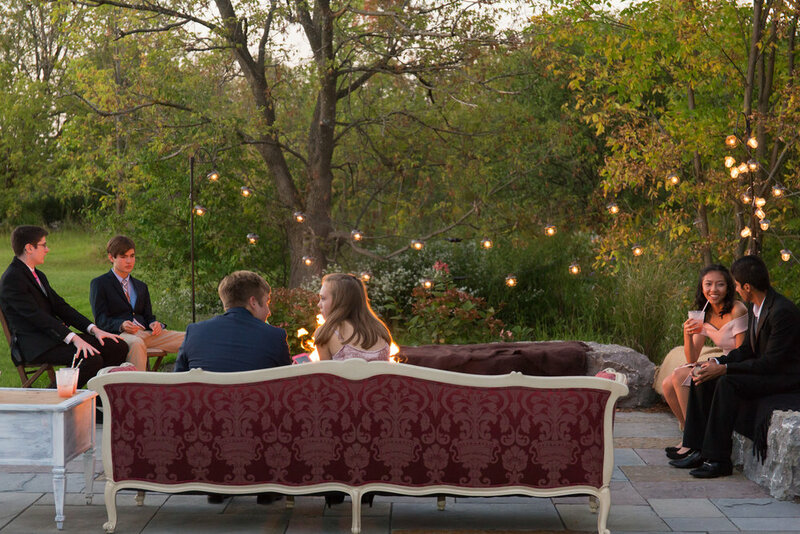 Her younger brothers as well as mother and father also joined in, and it was quite apparent that she was celebrating along with a family who cared deeply for her and couldn’t wait to share in her celebration! More family and friends then began showing up in large numbers, and the barn was soon full of chatter and excitement. 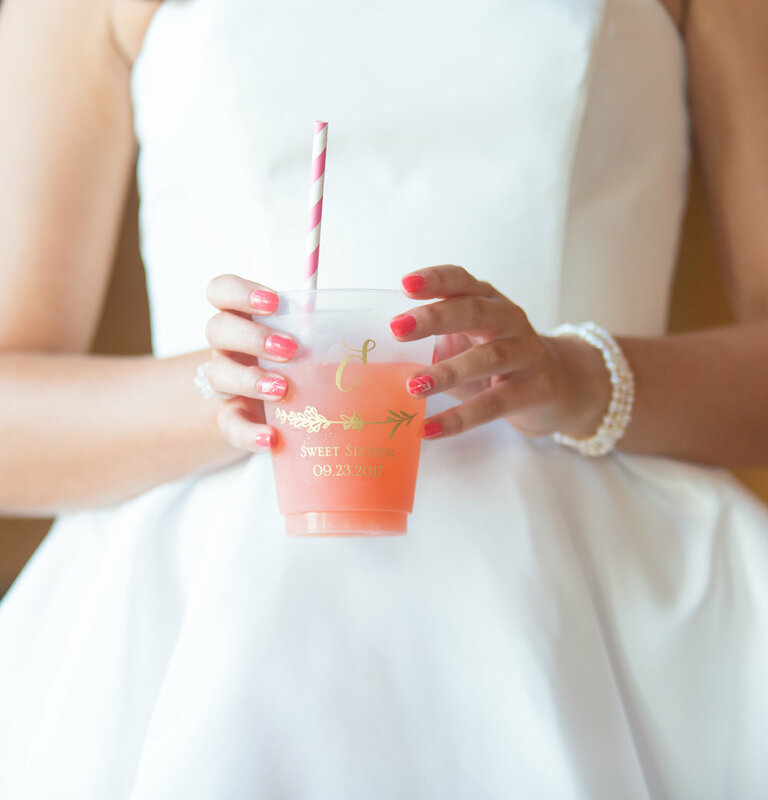 Emma’s friend’s jaws dropped at the sight of the dessert bar and gorgeous pink decor. Guests were all asked to participate in this pink theme by wearing the color themselves. 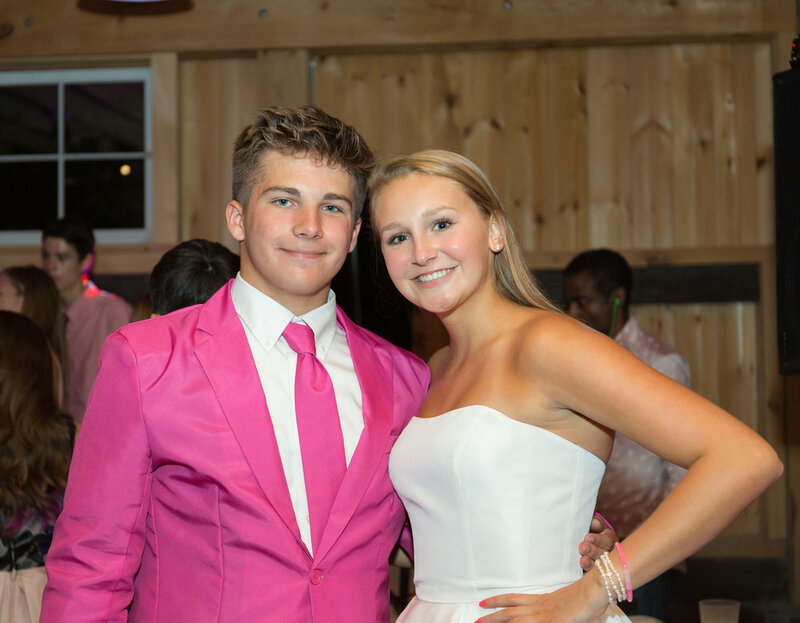 Everyone looked amazing and some guests went above and beyond with wardrobe items such as light-up pink sneakers! 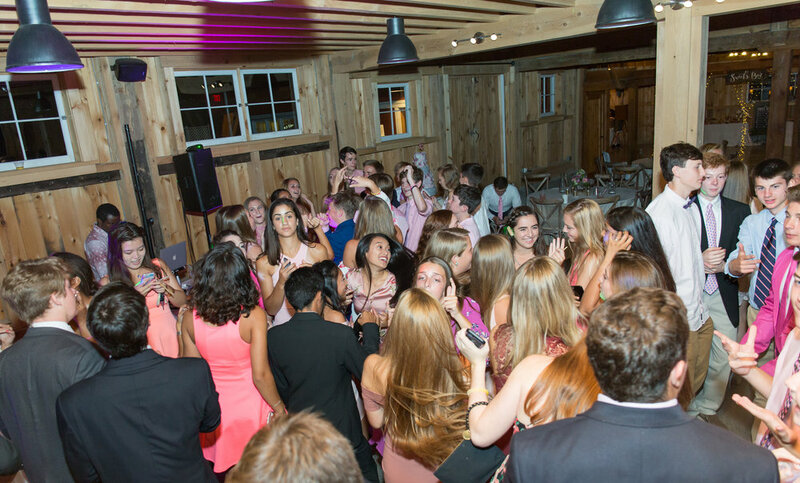 The party went into the night with smiling, laughing, a heartfelt toast from Emma’s father, a sparkly photo booth, and endless dancing. Emma’s friends were all so fun to photograph and provided me, as the photographer, with so many great images! 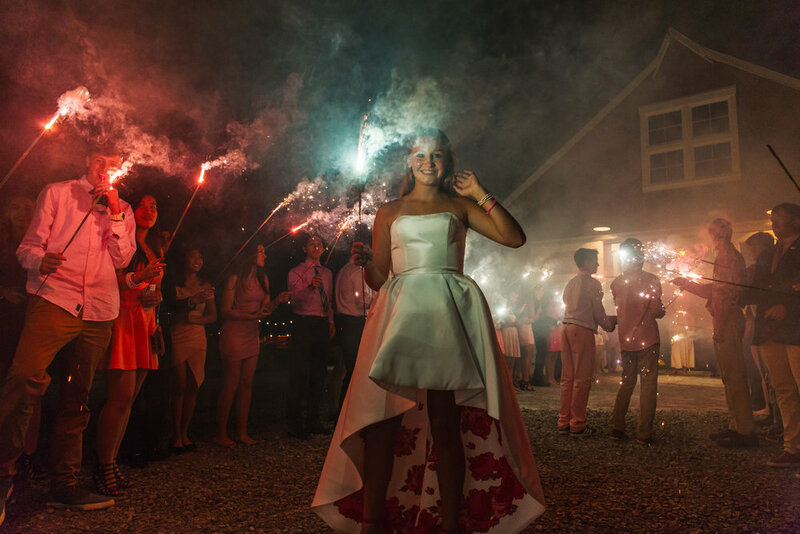 The night would not have been complete, though, without Emma’s epic sparkler exit. The joy in her face as she walked through this sparkly tunnel of friends cheering was evidence to the fact that her party was a major success! Everyone in attendance, including myself and the other fantastic vendors, enjoyed themselves to the fullest. Happy Birthday Emma! May this party send you off on a promising path into this new and exciting stage of your life!